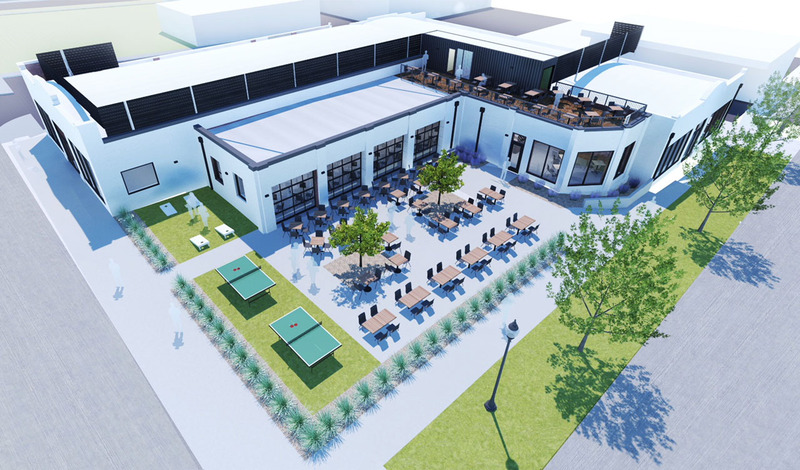 Work is set to start soon on The Collective at NW 10th and Harvey in Midtown, a food hall with 7 kitchens and an elaborate two level, indoor/outdoor bar. Developed by Vincent Le, Kayla Baker, Emily Stanley and former Oklahoma Sooner and pro golfer Anthony Kim and operated by Troung Le (no relation to Vincent) of Guernsey Park and Chick N Beer fame, plans have just been finalized and pending design approval by the city, work will start very soon with the goal of being open by the end of the year. 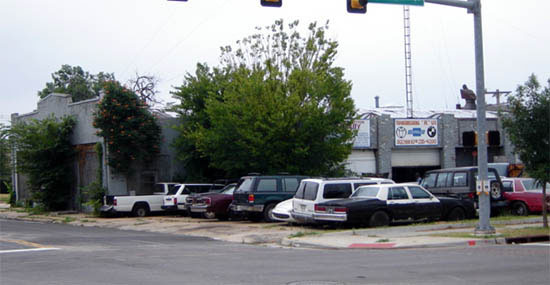 The former auto garage was an eyesore for years with dozens of abandoned cars at the high visible intersection across from the popular Bleu Garten food truck court. After several other developers failed to get their hands on the property, the current ownership group was successful and facilitated clean-up while they considered the highest and best use for the key location. 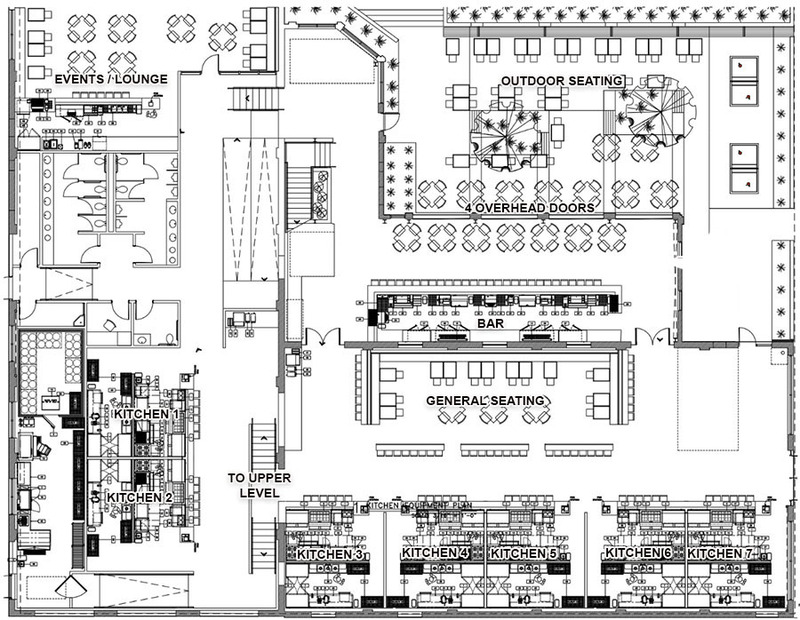 The design by Gardner Architects with significant input from Stanley shows 7 small kitchens that will each host a different food concept, as well as a large central bar on the main level, and seating on the rooftop deck. A shipping container will protect an internal stairwell. Truong Le told OKCTalk they plan to be particular in choosing vendors who will each get a fully-equipped, turn-key kitchen as part of their lease. The group plans to 'audition' operators so they can test food and also review their business plans. Le said the success of each operator is vital to all the others and the development as a whole, and the idea is to make the best possible choices from a large pool of applicants. For example, they hope to have at least one restaurant that offers breakfast and brunch so the facility can operate almost all day, every day. Otherwise, The Collective will be open for lunch and dinner and the bar will stay open late on weekends. The facility will also feature one more semi-separated area that will either be leased for events or be used as a nighttime lounge. Food vendors will also be expected to maintain 4-star ratings on social media otherwise run the risk of being replaced. Le himself will operate the bar and patrons will receive table service once they have selected a table. All the food operations will be counter service. The bar will feature 32 taps with a wide array of local craft beers, simple cocktails and a wine selection that will include champagne. On the second level, more seating will be provided on a seasonal basis. 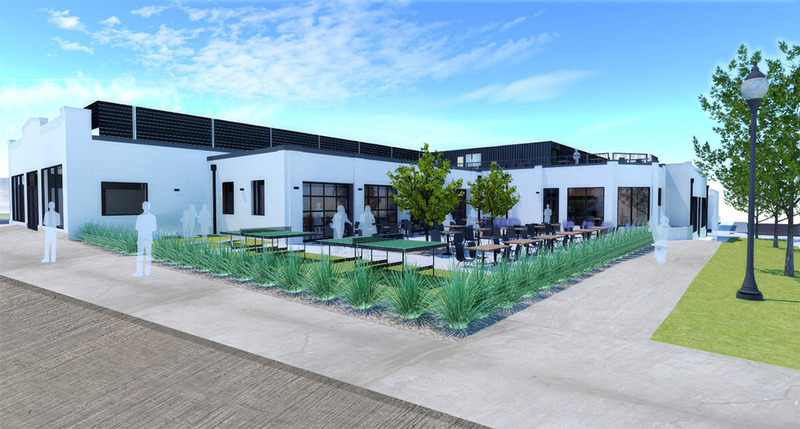 The old garage building will be expanded northward for what will be the main bar area, with 4 overhead doors that will open to a large patio. The entire concept is similar to the wildly popular Avanti in Denver. Building permits applications have already been filed and the group hopes to gain design approval next month.